We Design, Build and Deliver Eye Catching Websites. 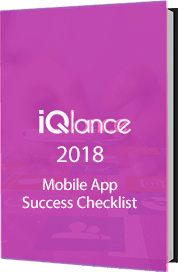 Team iQlance has been in the web design and web development Toronto & overall business in Canada, offering wide range of technical solutions under its single-roof. Our target remains in helping our clients gain advantage in the changing online market scenario. If you are looking to transform your brick and mortar business to e-commerce, we can help you in putting the right foot forward through comprehensive technical and marketing solution. We are a design firm that aims to offer a flexible, accessible service, prioritizing good communication as well as excellent results, delivered on time and within the agreed budget.Our focus remains on offering Cost effective services to small and medium enterprises to allow them earn exposure in ongoing market transition. Revamping your website design is crucial to improve its performance and also to improve user experience. If you have been considering engaging your audience better through your website, then responsive web design is a must to elevate user experience. Our Company has earned reputation in offering state-of-art solutions. Our services doesn’t limit itself to website design but also offer comprehensive graphic design, banner design solutions and more. Our core team comprises talented website designers from different arenas with expertise and exposure to the latest trends in the market. We can help in upgrading your current website design to make it responsive. we are also into mobile application development and Digital marketing services. We are the one stop shop for all your digital business needs. We don’t create web designs, we create web experiences. Our experts provide complete web design solutions including graphic design & specialty services feature flash multimedia, print graphics, online marketing, web promotions, technical support and e-commerce. Technically, our web design services include creation of high quality design/layout creation using Photoshop, PSD to Joomla, PSD to CSS/XHTML and PSD to CMS (e.g. Joomla, WordPrss) with language conversion options on web pages. We gather client requirements and hire dedicated & proficient designers for your project. Our team analyses project requirements, technical feasibility and recommends expert web designers. Our expert website designers improve and enhance the usability and the feel good factor of the product. Then the product is scanned for bugs and made fully secure.